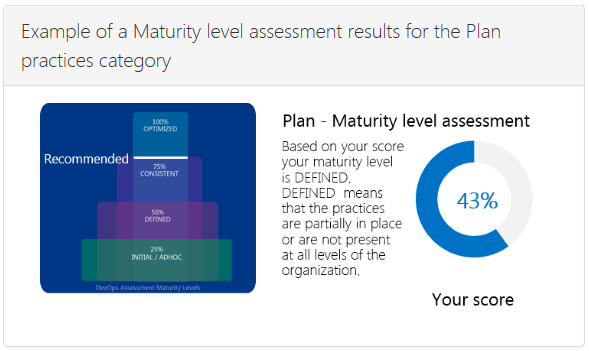 InCycle's DevOps Assessment will score your organization's maturity around practices that are important to enable DevOps. Topics include Planning, Dev & Test, Release as well as Operations & Monitoring. The assessment only takes 10 minutes and upon completion, you will receive a custom report and score --- and it's FREE! Completing the assessment will help you evaluate how your organization is currently using DevOps practices to support planning --- not just at the beginning of a project, but throughout the software development and release process. DevOps practices leverage DevTest to enable practitioners and speed time to value. This assessment will help you benchmark your adoption and highlight DevTest opportunities. Modern development practices and tools allow organizations to realize unprecedented application and user insights. Learn how to leverage feedback to master DevOps. We hope that you find the assessment valuable and don't hesitate to contact us with any questions you may have. You can contact us at info@incyclesoftware.com or (800) 565-0510.